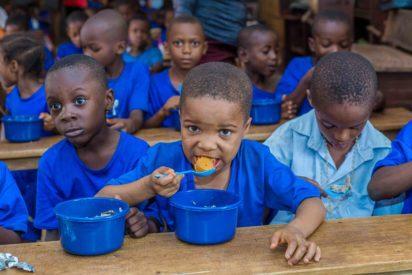 Gombe – Hajiya Maryam Mele, Focal Person, Social Investment Project, Gombe State, says N394 million has been released for the feeding of school children under the National Home Growth School Feeding Programme (HGSFP) in the state. Mele who briefed newsmen on Saturday in Gombe on the activities of the agency, said the funds were released to 2,809 food vendors, participating in the programme. Mele said that N197million was released in the first tranche in February, while N197million was released in the second tranche in March. She said issues involving 400 food vendors who had difficulty in accessing the funds due to mismatched names and Bank Verification Numbers had been resolved. Mele said the state had benefited from the social investment programme since its inception in 2016. She said 2,840 beneficiaries were currently partaking in the N-power programme across the state. She said the state had 21,000 applications in the second batch of the programme, adding that 8,251 of the number were pre-selected, with 7,000 verified and sent to the national office for enrolment. “Ours is to verify the successful applications and send to Abuja”, she said. She gave a breakdown of the beneficiaries of N-power as 548 from Gombe Central, 594 from Gombe South, while Gombe North had 1,692 slots. Similarly, she said that 515 food vendors were from Gombe Central, 1,023 from Gombe South, and 1,282 from Gombe North. For the Conditional Cash Transfer (CCT), she said only one ward in Yamaltu/Deba Local Government Area of the state was captured, with 1,373 beneficiaries. She said, 1,200 cooperative societies have applied for Government Entrepreneur Empowerment Programme (GIEP) for free interest loan of N10,000 and above. The post School feeding: Gombe releases N394m to 2,809 food vendors appeared first on Vanguard News.